Taliban targeted a police checkpoint in the western Herat province, setting off a battle in which a policeman and three civilians were killed, according to a provincial official in Herat. 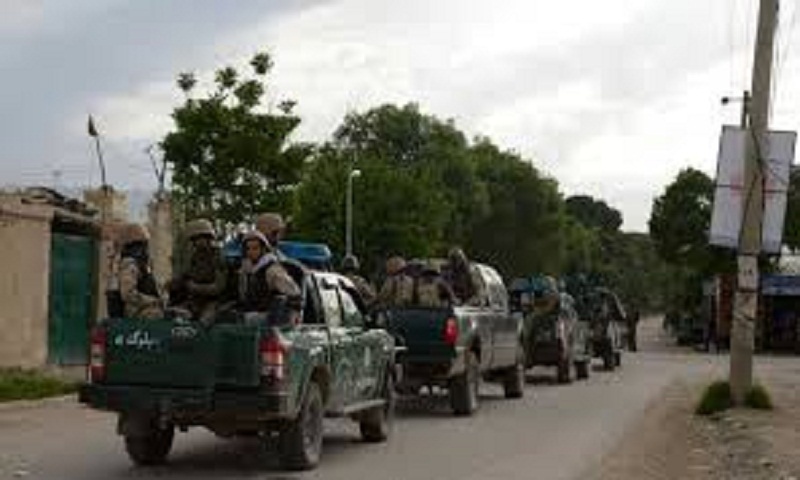 Police spokesman Abdul Ahad Walizada said six of the attackers were also killed in the battle late Tuesday. The Taliban effectively control nearly half the country and carry out daily attacks that mainly target security forces. In the eastern Nangarhar province, meanwhile, the director of a local TV station was kidnapped. Attahullah Khogyani, the governor's spokesman, said the TV director, known as Engineer Zelmia, was kidnapped late Tuesday. Zelmia's driver was shot and killed. No one immediately claimed the abduction, but the Taliban and the Islamic State group are both active in Nangarhar. In the eastern Paktika province, a suspected U.S. drone strike killed a local government employee believed to have links to insurgents, said Shah Mohammad Aryan, spokesman for the provincial police chief. He said the strike late Tuesday took place in an area on the outskirts of the provincial capital, Sharan, where insurgents have been known to stage rocket attacks on the city.